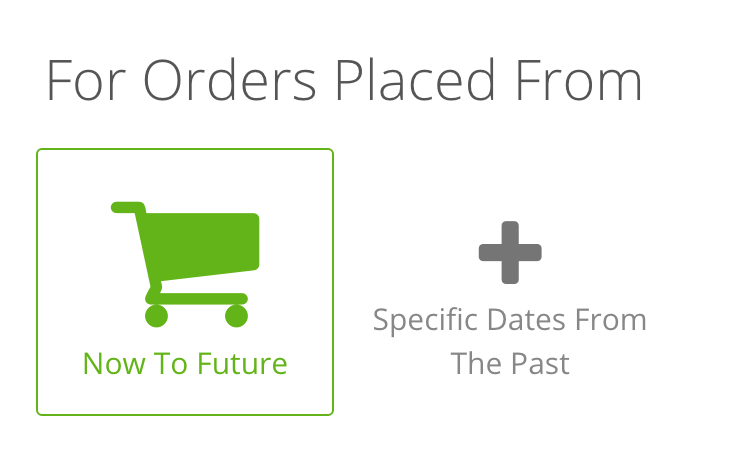 You can now just send to a custom date frame of older orders. So you would select a Start Date and an End Date and it would import only these orders and stop. You can access this new feature when you go to Create a New Hunt. I received a notification which states the settings and options must be the same for it to work, which settings are you referring too? So sorry; I am not quite getting your question. A notification? Was it an email or something you seen inside the app like an alert? To my knowledge; there isn't anything that "must be the same for it to work", since it's not really related to anything. 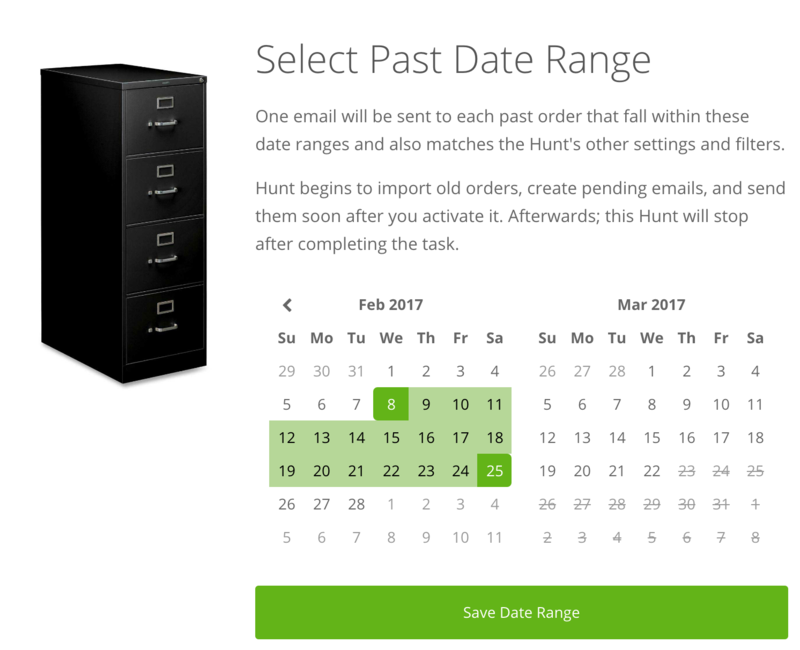 You would create a New Hunt; and select those old date ranges; and if any orders match that Hunt (like any other normal functioning Hunt would do) then it would create a Pending Email. I have signed up today and synced my account up. Managed to make and configurea good email, but was hopeing to get this sent out to our previous orders too? Am I right in thinking that this is not available to me because I am on the free trial version, or am I missing something in the Hunt setup? 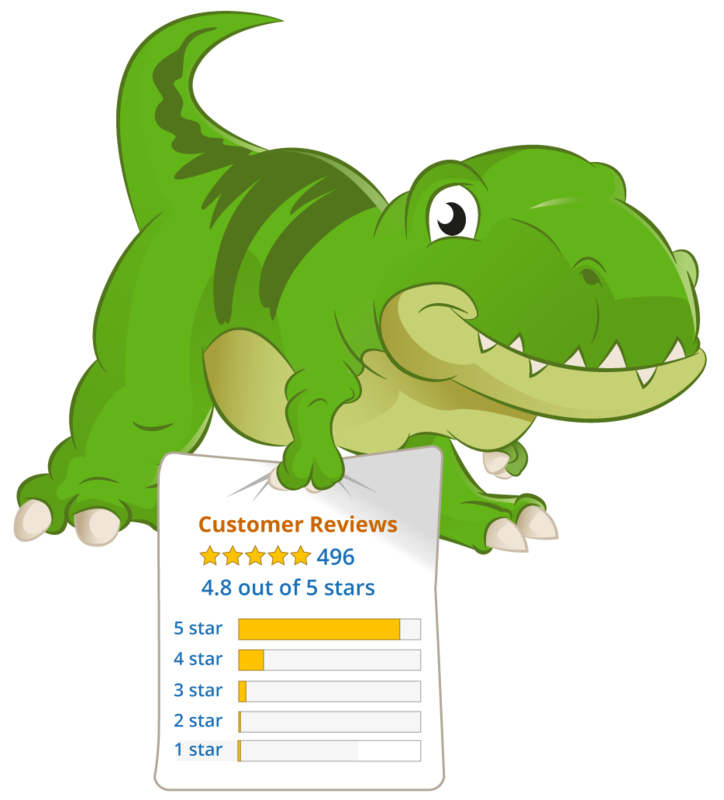 Hey Josh, Sure thing.. you can use this feature during the free trial. =) The reason why you may not be seeing it is that this feature is only available on new Hunts. The feature doesn't show when editing a current/old Hunt because it will mess things up. (sort of like traveling back in time to fix a problem; would only lead to a new problem lol) Hope this helped. Please let me know if you can't find it..